Your One Stop Las Vegas Flooring Company. We offer high all types of quality Flooring!! Heritage Distribution has been around in Las Vegas for many years. In fact, our owner has been in the flooring business for 10 years. We have the best flooring prices in Las Vegas, guaranteed. Heritage Distribution does it all from flooring installation to tile removal and even installing hardwood floors on concrete. We take great pride in our company and customer satisfaction is our number one priority. So if you are in the market for engineered hardwood floors for your living rooms or bathroom tile flooring, or even vinyl floors for your laundry room, come to Heritage Distribution and let us help you with your color choices and options. We here at Flooring Las Vegas are Experts in a Wide Variety of Flooring. From tile to hardwood, Heritage Distribution in Las Vegas has it all. 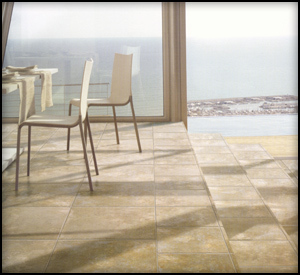 We do tile flooring installations in Las Vegas. We are also experts in laying laminate flooring and vinyl floors. We currently have a complete line of carpet, wood, laminate, porcelain, marble, travertine, slate, and tile ceramic flooring products from the world's leading manufacturers. We have a wide variety of hardwood floors, laminate floors (like Pergo), vinyl flooring, and tile colors and sizes to choose from. Las Vegas Flooring specializing in Hardwood and Laminate Flooring. With any wood flooring, and some laminate flooring you will want baseboards to be installed. We can remove old baseboards and install new baseboards to complete the look of any hardwood flooring installations. Laminate flooring, like Pergo, and some vinyl floors will need the have a thinset layer applied to your existing area. If your Las Vegas home has concrete flooring, a underlayment will be needed and a moisture barrier to keep your floor from warping. You should wait at least 24 hours before walking on your new floor. Some installations, depending on the type of hardwood or laminate you choose, will need more time to cure. Heritage Distribution in Las Vegas knows so much about floors and flooring installation, so we will be more than happy to answer any and all questions you will have. Free In-Home Estimates on Installing Las Vegas Flooring. On every flooring job in Las Vegas, whether it's removing tile floors to replace with hardwood flooring, or installing laminate flooring in an existing space, we always offer a free in-home estimate. Your will find our Las Vegas flooring prices to be the lowest among competitors, but we recommend you get different estimates and talk with other flooring customers before you make your decisions. We also do not charge customers for installations until the flooring is complete and the customer is completely satisfied with our work. We take pride in our flooring installations and do everything right the first time. You will not see us cutting corners on your next laminate flooring installation in Las Vegas. Our flooring work is guaranteed for one year. If you have any problems with tiles cracking, hardwood flooring warping, or vinyl flooring peeling during that year, we will repair or replace it for free. Heritage Distribution is Licensed Bonded and Insured License #0066919 and 0068805 License Bid Limit $50,000 each License.